Summer is a magical time in Seattle. After months of gloomy clouds this big blue thing appears in the sky along with a glowing orb. After months of being cooped up people take to the streets celebrating anything that can be celebrated. Summer is a time to cruise the lakes, taste the food truck offerings at the farmers markets, and hang out at the street fairs. 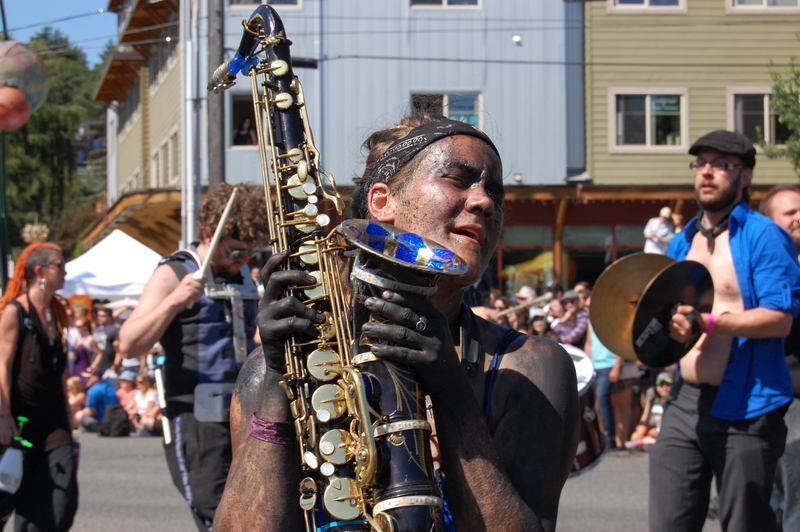 Summer to me is all about the Fremont Solstice Parade. 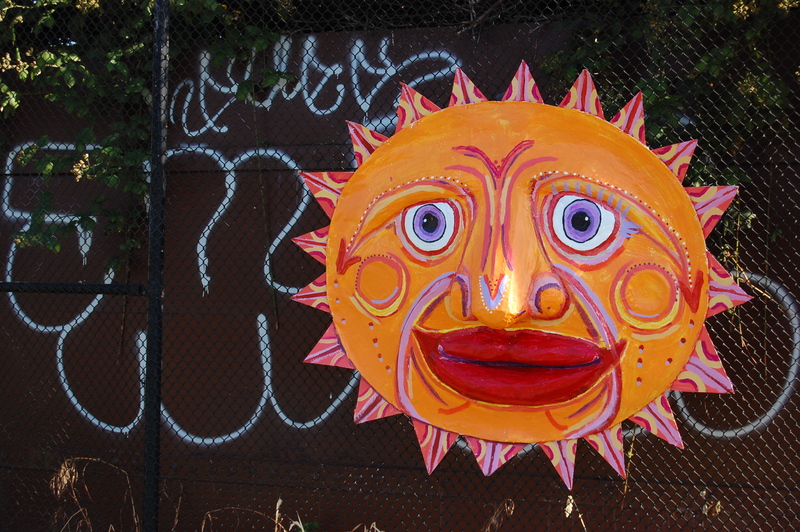 In the simplest of terms it is a parade that celebrates the Solstice, but there is so much more. It’s live theater. Every year artists of all kinds take to the street with floats that they make themselves and also push down the street. There are motorized vehicles here nor are there any brands, logos, or words of any kind that you will see on the parade route. Every group has something to say ranging from light hearted play to more hard hitting issues. This year was one of the most impactful I’ve seen. 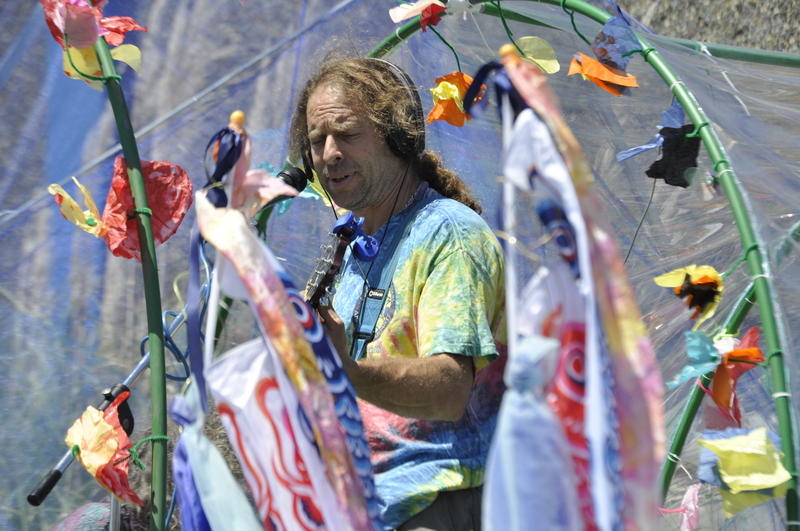 Many of the groups took on huge issues such as Shell drilling in nearby waters with kayakers shouting “Shell No” surrounding devils in suits pulling an oil rig. Another group dressed in bio hazard suits pushed oil barrels that they used as drums followed by an all black American Flag. (Think covered in oil). Yet another pushed a float covered in the faces of minorities that have been the victims of police brutality. There are so many more parts to this parade. 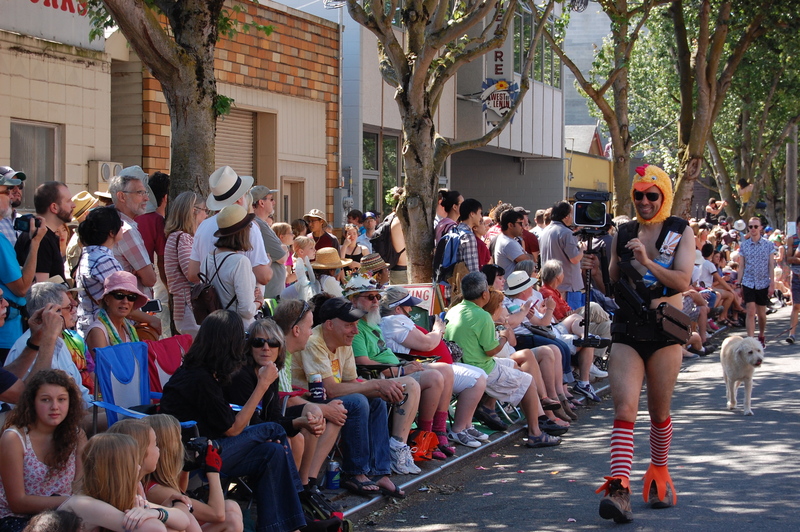 Every year it starts off with bicyclists shedding their inhibitions and riding naked through the streets. Parade goers dress in costume to join in the fun. And spills into Gas Works Park for a party that last into the night with Honk bands from around the country preforming. It isn’t just a parade. It’s a celebration of who we are. It’s a reminder of what makes Seattle special. Thank you so much for this great post. 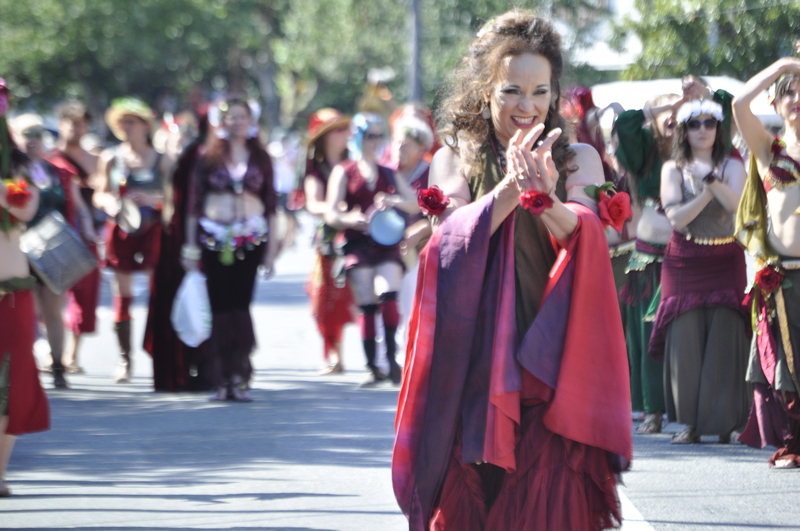 You have really brought out both the hard work and the artistic endeavor which makes Fremont’s Solstice Parade so great. Not very many people notice and understand the significance of what you have mentioned, that words/slogans are prohibited on the displays and this helps push up the creative means of getting a message across.